Playtime can get dirty but your toys should always stay clean. Wicked Sensual Care's Foam N Fresh is a healthier alternative to everyday soap and water. Anti-bacterial, triclosan and alcohol-free, this super powered foam is enhanced with Olive leaf, Thyme and Lavender extracts, making it safe for all toy materials yet dangerous to germs. Use every time it's toy time to sanitize, freshen and protect your intimate investments. This skin-safe cleaner is a must have for every toy box. Safe for all toy materials. 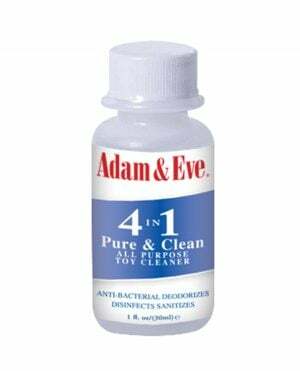 Anti-bacterial. Triclosan-free. Fragrance-free. Paraben-free. Alcohol-free. To Use: Apply foam directly onto the toy. Smooth foam to cover entire surface. 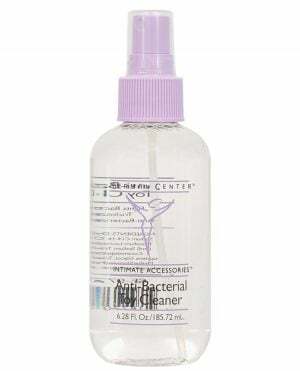 Allow 10-15 seconds for foaming action to eliminate harmful germs and bacteria. Rinse with warm water and dry completely before storage.